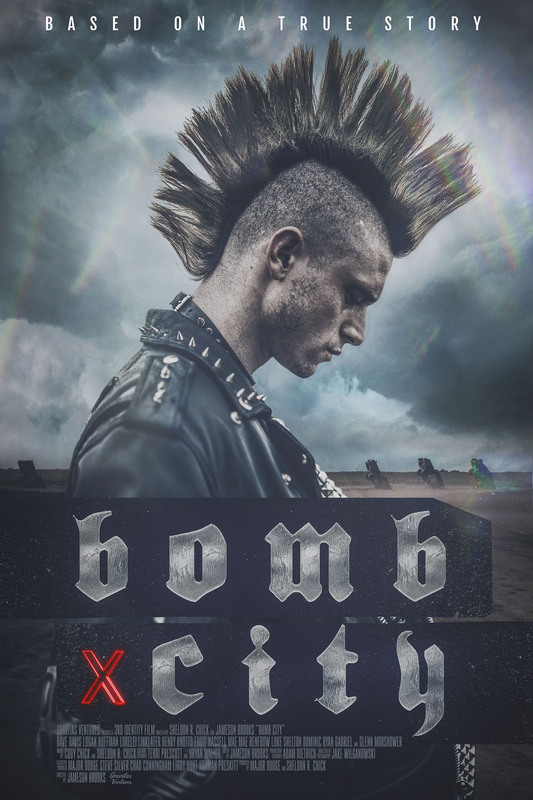 Based on a true story, but changing many of the details of what happened and how, while keeping the basic premise intact, Bomb City – a reference to Amarillo’s being home to one of the largest nuclear weapon facilities in the US – delves deep into the punk sub-culture that existed at the time, and paints a vivid portrait of Brian and his friends that serves to ground the movie as a whole. We get to spend a lot of time with them, and even get to understand them somewhat, and in doing so, Brooks makes his sympathies clear, something that is reinforced by the events that happen after the fight. These events are presented through scenes at a subsequent trial that are woven into the main narrative, but in such a way that they keep the unaware viewer in the dark as to the actual tragedy that occurred, and its highly controversial outcome. 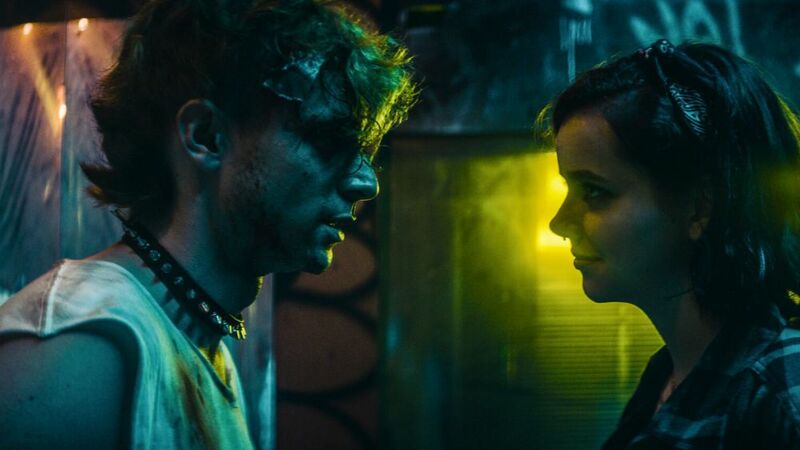 But while Brooks – making his feature debut as a director – does a commendable job of making the punks recognisable as individuals, the same can’t be said for the jocks, who remain arrogant stereotypes all the way through. With the contrast between the two groups highlighted in bold as it were, and the animosity between them based on ignorance and purposeful misunderstanding (and sometimes on both sides), the cultural conservatism of Amarillo, Texas, during the Nineties is brought home powerfully by Morshower’s performance as Cates’s defence attorney, Cameron Wilson. In a chilling summing up before the jury, Wilson’s choice of rhetoric is horrifying, and it’s at this point that the movie reveals the real tragedy of what happened. Everything leads up to this one moment, and Brooks delivers two swift gut punches to the viewer in quick succession. The movie ends on a note of outrage, and it’s left to the viewer to decide if the movie’s themes of prejudice and social xenophobia will ever be addressed fully in the future. Tough though the movie is at times, there’s still much to enjoy before it heads into darker territory, and much of this is there in the script, which has a knowing sense of humour. The performances are solid, with Davis and Huffman making an impact across the divide, and the movie is enhanced by Adam Dietrich’s production design and Jonathan Rudak’s art direction, both of which help to create a convincing milieu for the action. 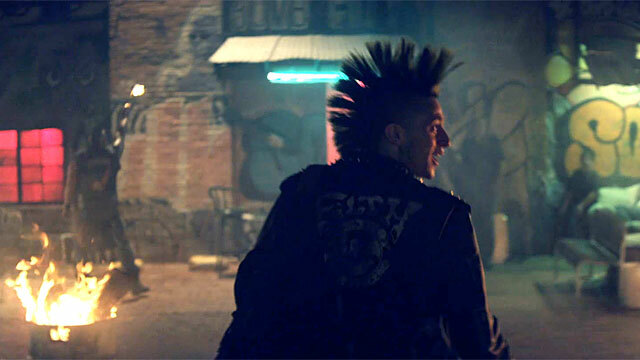 Rating: 7/10 – an angry movie with purpose, Bomb City explores a real life tragedy with integrity and grit, but takes a little too long in explaining why it’s so angry; still, it deserves a wider audience, and Brooks is someone to keep an eye on, all of which makes the movie a minor gem just waiting to be discovered.